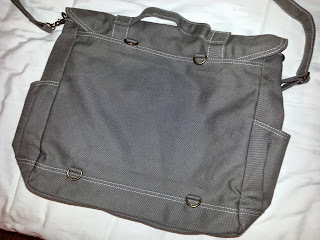 Several years ago, I posted some thoughts on what I would want in a conventioneering bag. I certainly don't have the skills to make something like this, so I've kept looking for something somebody else made that I could perhaps modify a bit. 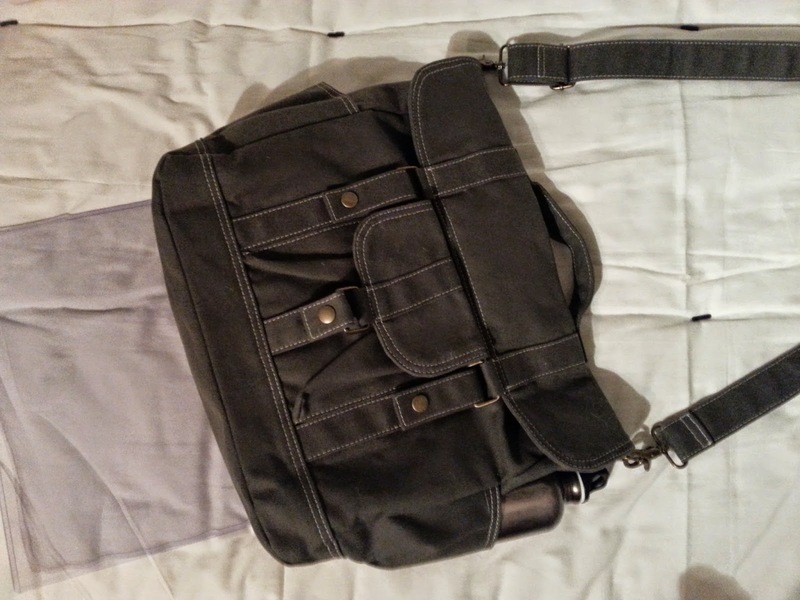 And I think I've finally found something: the Pico2 Backpack from nottoc's Etsy shop. 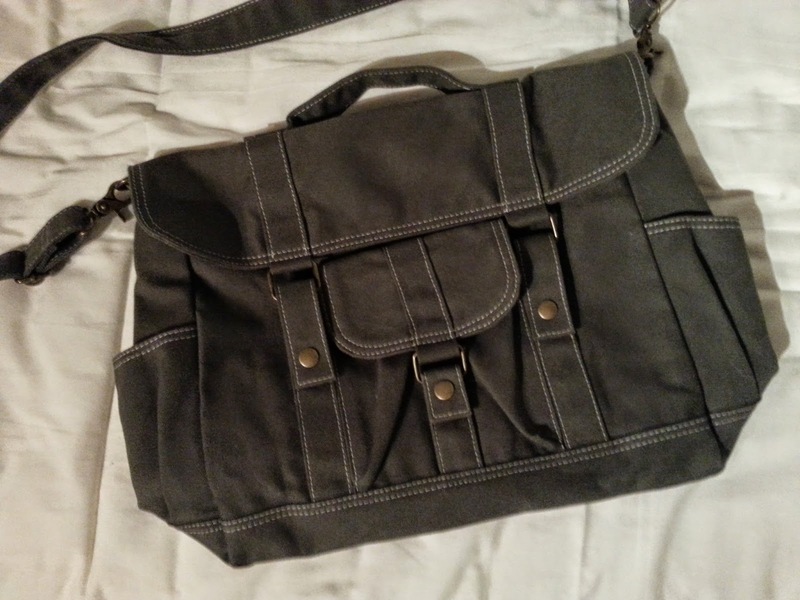 At a cursory glance, it looks like a pretty typical shoulder bag, but the specifics of the design -- plus a bit of customization -- make it well-suited for conventioneering. At least for me. Here's a couple more shots so you can see a few more details. Despite the relatively flat-looking appearance, it's actually surprisingly deep. And given that it's all canvas, that allows for some flexibility/molding around the contents. 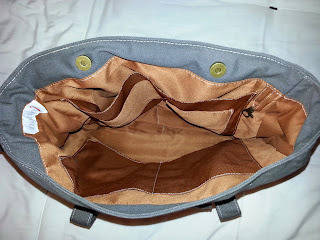 It does not have interior dividers, as I had originally been looking for, but over the past few years trying other bags, I've found those tend to be more of a hindrance to me than anything. So one large compartment seems to work better. 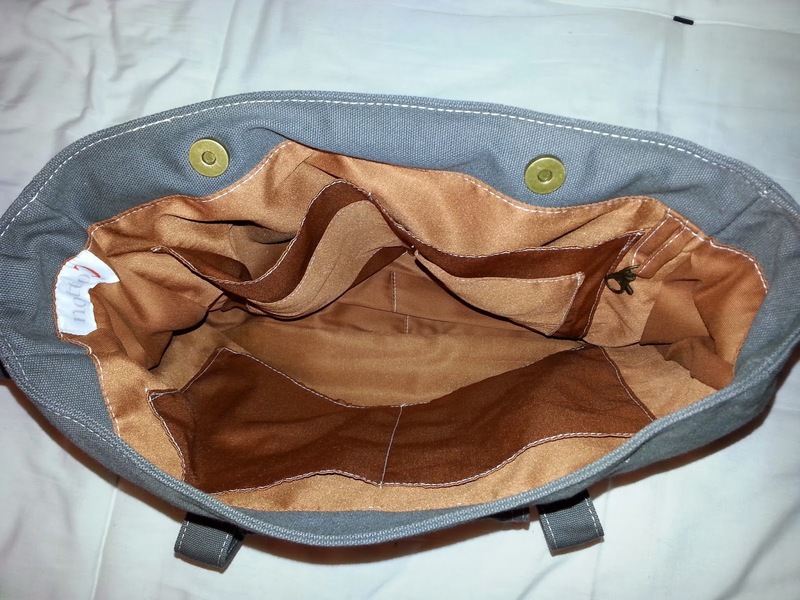 You might also note a lack of exterior pouches. There is one on the front (which I plan to use for a phone charger and spare battery) and a side pocket for a water bottle, but that's it. 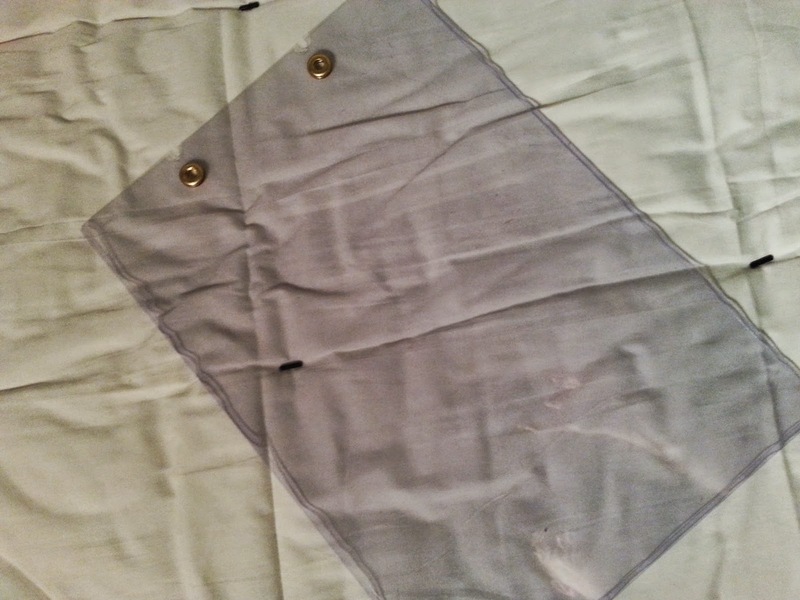 Although multiple pouches was an idea I originally looked for as well, I've also since overhauled my wardrobe and most of my clothes have plenty of pockets for the smaller items I had earlier thought I would need pouches for (business cards, primarily). The shoulder clips are separate from the fold-over top, so I can still sling the bag over my shoulder with the top open. 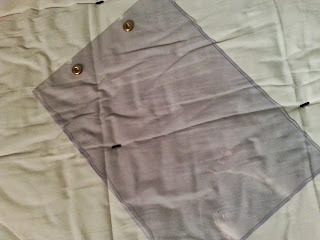 Plus it has two magnetic clasps on the inside lip to keep the bag shut in those instances. 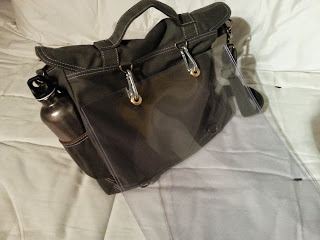 The art remains protected and flat inside the sleeve and, while it does hang down below the bag itself, much of the space overlaps with the bag, keeping it from hanging too low. It also puts the art between the bag and you, making it harder to see and harder to swipe. The carabiners also make it easy to unhook the sleeve entirely and leave it at home if I know I won't be going somewhere where I'm likely to walk away with any art. So far I've only tested the bag at a comic shop signing, not a full comic convention, but it does seem to hit all the points I've looked for in the past. I'm looking forward to taking this out in the field, and seeing how well it holds up under real-world conditions. I think I'm all set for the 2015 convention circuit, and it's just a matter of seeing what my time/budget look like to see which shows I can attend.